This column was written by CBS News director of surveys Kathy Frankovic. In 1973, a book was published that showed journalists how to conduct and report polls, and gave them a solid grounding in statistics and databases. It has remained in most journalism-school curricula ever since, and is now in its fourth edition. Titled Precision Journalism: A Reporter's Introduction to Social Science Methods, it was written by Phil Meyer, a correspondent for Knight-Ridder newspapers. Its publication coincided with changes in the practices of journalism and news polling. In the 1970s Vietnam and Watergate dominated the national consciousness. Skepticism about government and doubts about the trustworthiness of government officials were widespread. And by the 1970s, more that 90 percent of households had telephones - and telephone interviewing became common. It was much less expensive than in-house, in-person sampling. For many journalists - and for those who have entered journalism and communications schools ever since - Precision Journalism gave them a new awareness of the use of numbers. Many journalists who today write about polls would list the book as one of the most significant books of 20th-century journalism and mass communication. That view is seconded by Journalism Quarterly, and it has been named as one of the 50 significant books on public opinion research by the American Association for Public Opinion Research. Precision Journalism has been translated into Spanish, Turkish, Albanian and Bulgarian. After it was published, Phil Meyer became the Knight Chair in Journalism at the University of North Carolina. Last week, UNC held a symposium in his honor, looking ahead to the future of journalism, including what will happen to newspapers, to research, and to news polls. It was called "Raising the Ante" and it focused on how the internet has affected research about journalism and journalism itself. There are similarities between the American public now and the American public of 35 years ago. Some comparisons seem obvious - an unpopular war, worries about the economy, skepticism about many government leaders. In the mid-1970s national news organizations set up their own polling units - a new development then but now commonplace - and the first print-broadcast polling partnerships were created, including the first, the CBS News/New York Times Poll, which was established in 1975. As in the 1970s, polls today also show that Americans are worried. In the last CBS News poll, 76 percent said the economy was in bad shape. That was the largest percentage since 1992. 75 percent said it was getting worse - the largest number since 1980. Measures of whether the country is headed in the right direction or is on the wrong track continue to show enormous and growing concern. 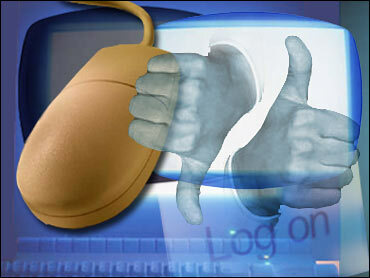 The internet also offers new forms of measurement, though it can not replace the public opinion poll. However, it does provide data that tell us a lot about what people are reading - and thinking. At the Symposium, J.T. Johnson, of the Institute for Analytic Journalism, suggested ways of understanding public opinion through mining the data that is built into newer technologies; there may be, for example, geographical location information, or transactions and usage patterns. On the internet, everyone can be an opinion leader: anyone who sends email links and posts web reviews is sending people information with a reasonable expectation that the recipients will find it helpful or at least interesting. The UNC Symposium was conceived to honor Meyer, who is retiring, but participants also hoped to set an agenda for research on how people find out about news, how they learn what's news, and how they interact with news. For a long time, polls (along with newspapers' Letters-to-the-Editor) were the only "conversation" that existed between journalists and the public. It was pointed out several times, at the seminar, that news on line has become a "conversation," with commentary going in many directions - from the journalist to the reader, from the reader back to the journalist, and from reader to reader. Polls themselves are conversations. The interaction may be more equal and intense now, but the outcome is the same: the public's opinion informs what the journalist knows about his or her audience. Years ago, Phil Meyer brought numbers into the daily life of many journalists. Last week's Symposium helped academics and practitioners figure out what can happen next.